Sitting under rustic timber rafters you can almost sense the words permeating the air. At a time when kindles and online book sales are a way of life, Berkelouw Book Barn in the Southern Highlands township of Berrima offers something unique. Seeped in tradition, this is a place to unwind, appreciate all things written and listen as the thousands of books on display divulge their narratives. The Berkelouw family have been involved in book selling since 1812 with many generations experiencing the rich and at times deadly tapestry of world history. Initially trading in vellum-bound theology texts only and later joining the International Antiquarian Booksellers Association, all was bought to a tragic halt with the siege of Rotterdam during WW2. Sadly, all their stock was destroyed, including a bible thought to be the most valuable in Europe at the time. In 1948 a new direction and way of life ensued with the fourth generation of book-loving Berkelouws moving to Sydney to re-establish the business, thus beginning the Australian connection. Over the years Berkelouw Books has moulded as the times have changed and in the fast paced world that we live in, now offers a cultural encounter that can be enjoyed by all. “People love a story and its history” says Katja Berkelouw as we chat near the 200 year old European Oaks that grace the country property. “We are more than just selling a book, we are selling the experience”. In fact Berkelouws were the first bookshops to have integrated coffee shops, and in Berrima they have now enhanced visitors’ experiences by diversifying their offerings and creating something more substantial. 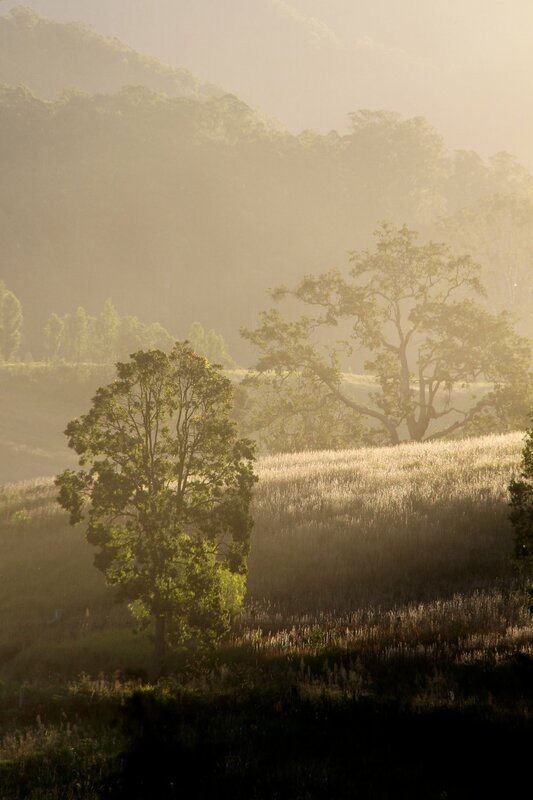 In 2008, 5000 mature vines were planted in their vineyard, Bendooley Estate Wines. A growing entity in the wine world, their luscious grapes have already produced silver medalwinning chardonnay. The Bendooley Estate Restaurant offers wonderful meals and the coffee shop, also nestling in the barn, cascades outside allowing a latte to be enjoyed under the shade of billowing plane trees. Yet this does not occur without a certain number of challenges. “Australians are food obsessed and want to know where their food is coming from” says Katja. As a result, they source their food regionally whenever possible, and try to use locals when staffing. “It is important to get the dynamism right when staffing and as many young people want to go to Sydney for job opportunities [that] can sometimes prove difficult”. Obviously they have it right as the staff were friendly, helpful and knowledgeable. Recognising the growing wedding market, it has also become a unique venue for 'big days', with vows exchanged on the verdant rose strewn lawn running down to the lake. "We like to be very involved in the wedding day experience” says Katja as we tour the beautifully nurtured gardens surrounding the ivy clad homestead. Most weddings take place on the lawn under the dream like ancient cypress, with everything done to ensure that the setting is beautiful and the event is personal. This obviously has a flow-on effect for local businesses. Hairdressers, florists, photographers and even regional bus lines have benefited from the change in direction that Berkelouws has undertaken, which in many ways was the only answer to the cost of maintaining this 200 acre historic property. “We are so lucky that we have been able to create a business for ourselves which benefits those around us, yet also lets others benefit from the beautiful environment. A quirky environment and a great product can reinvigorate a whole area”. With cottage accommodation available for short term rental it seems they have met the needs of all. Originally the gatekeepers lodge, this restored two bedroom cottage is a cosy and contemporary base to experience the delights of the Book Barn and the beautiful Berrima region. Staying here or simply visiting, it is a wonderful opportunity to observe first-hand the joys that come with living (and running a business) in the country. “In this fast paced world history and tradition are becoming more important, and some people are even putting down their Kindles and the like. This is when there is a chance to experience a great quality of life and mix with interesting people from all backgrounds. People in the rural environment have more time for each other and are prepared to have a chat. Everyone knows the local mechanic and if you forget your wallet when shopping, it is never a problem to pick up the shopping now and come back later to pay. It seems that trust is instilled in them”. I sit there listening to Katja, dreaming of children being children, of the freedom to roam outside for hours and days when everyone chatted over the back fence. It seems that by forging ahead on its business diversification, Berkelouw Book Barn actually gives everyone the opportunity to be part of the storybook of Australia’s rich history. Instant gratification has been replaced here by a sense of time and place. Colourful and informative, the books on display around the restaurant and fireplace speak of a past and a present that exists for all to enjoy.